Have you ever known anyone that’s moved, and something got damaged? And the first question that the customer has is, my stuff is insured – I have moving insurance cover, correct? And the mover says, well, no sir, it wasn’t. And you’re thinking, well I paid you. Well, there are a couple of different options when moving, that a consumer should be aware of. When you move locally, you have, in many states, what we call 50 cents per pound per article liability. In general, intrastate is a little different, it goes 60 cents per pound. And again, if you’re moving long distance, it would also be 60 cents per pound. These are all general liabilities that a licensed professional mover has to give you as required by law. By law, movers must offer two types of coverage on interstate moves: Released Value Protection and Full-Value Protection. We will attempt to simplify the terminology by further explaining each type of coverage. Having insurance eliminates customers’ stress by providing them with the appropriate insurance for their household goods. Different options can protect customers’ goods for a single item damage or loss, or for a catastrophic occurrence to an entire shipment. 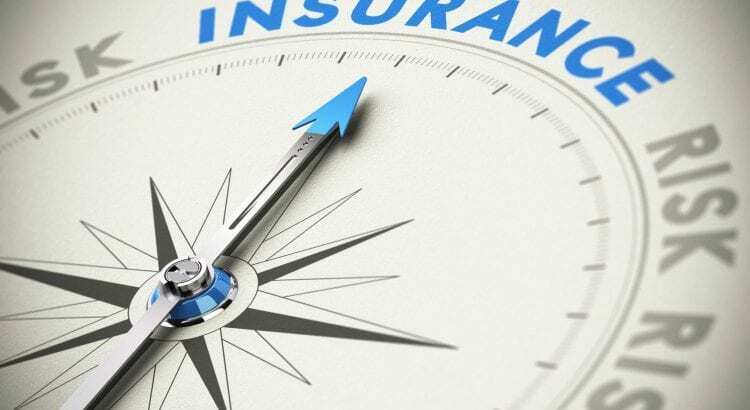 The insurance agency explains that Released Value Protection is set at $0.60 per pound and is offered by the moving company at no additional cost based on regulation stipulated by the Department of Transportation. This protection plan means that you will be reimbursed for all your belongings at $0.60 per pound. It’s important to note that such a coverage plan is not enough to fully protect your belongings. The other type of coverage, Full-Value Protection is based on your valuation (valuation: the designated dollar value of your shipment) of the contents being transported. The cost is based on the movers’ rates, as listed on their tariff. Keep in mind that when it comes down to it, Full-Value Protection is more secure, yet Released Value Protection is lighter on the pocket. Customers can also choose to upgrade their coverage if the common plans don’t appeal. Customers can ask their moving companies for other valuation or insurance options provided by third party insurance entities. Sometimes they will be surprised to discover other options that are more fitting. Now when you are moving internationally you would actually purchase an insurance certificate from an insurance company and there’s a fine line in a court of law between liability and insurance and most people think if the movers damage something then it’s insured to its full value. When in truth the reality is a mover has a liability of the actual cost of the item meaning that there can be no sentimental value. A case in point is a photo album, although it’s everything in the world to you, it has no cash value. So from a liability standpoint you want to think in cash value. There are some third party providers out there that offer full value insurance coverage if you needed to cover items of sentimental value and the likes. Another good starting point would be to check with your homeowners insurance, and see if you’re covered. There may be an option to purchase an additional rider on the homeowners insurance. This might save you money if doing it this way versus buying it from your moving company. If for instance your movers dropped a TV- let’s say it a 27 inch TV, at 60 cents per pound or we can even say 50 cents per pound, that TV may weigh 50 pounds, you would have $25 of liability coverage provided by law. But say if you had purchased additional replacement coverage, that TV would be covered at the full value of what you bought it for. So those are a couple things that you should consider when you decide what to select for your liability coverage. You should make sure that you understand the risks and coverage before the movers start moving you. Once your move is started, it’s too late to make that decision. You need to make it just before your movers start. And if you’re unsure, always ask your relocation consultant. That is what they’re there for – to walk you through the moving process, and make sure that you have the proper protection. Bottom line, there are plenty of options when it comes to selecting the right type of coverage. It’s important to do some research and ask questions in order to ensure that you purchase the best, most thorough insurance policy.